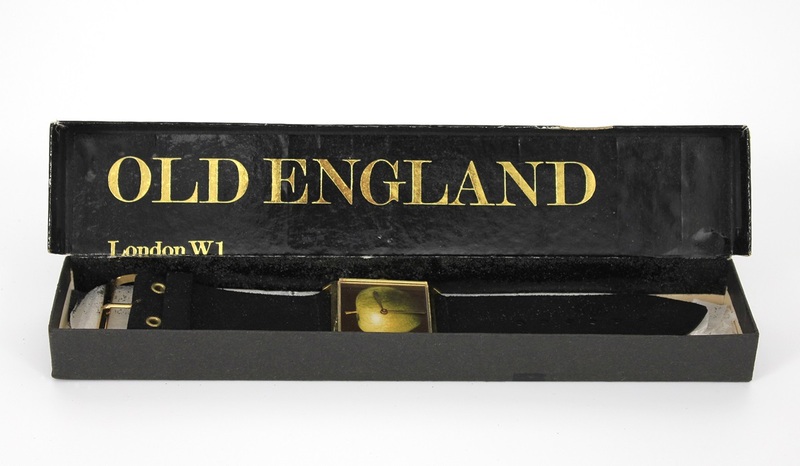 An original Beatles vintage 1968 Apple wristwatch, with the original Old England box, from the Apple Boutique, London. The watch, with the green apple face, has a wide black watchband and bears the Old England stamp on the back of the face. Very good condition. Comes with a Gotta Have Rock & Roll™ Certificate of Authenticity.